How do they know when it’s OK? It could be an assumption since 99% of the time nothing happens. 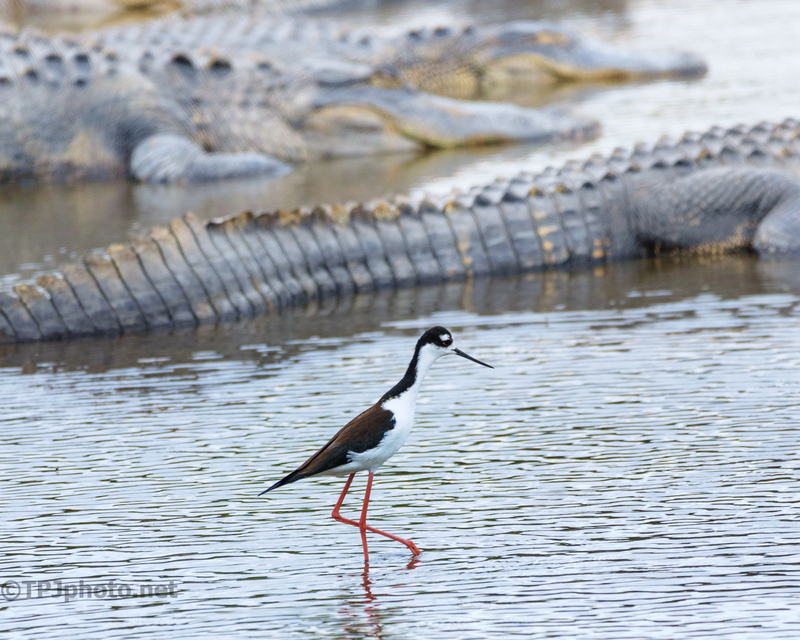 My guess is these birds have a fair idea of a safe distance, and how the Alligator is reacting to their presence. Brave maybe… it’s still not a good idea LOL, thanks. That is a cool looking bird! I’ve never seen one like that! One of two types of ‘Stilt’ birds in the US. Mostly in South and Central America, and Mexico. Breeds along the South Eastern US coast. A few in lower California. The other Stilt is the Avocet, there are plenty of images here also.